6.) Cat or dog jumping over a house? 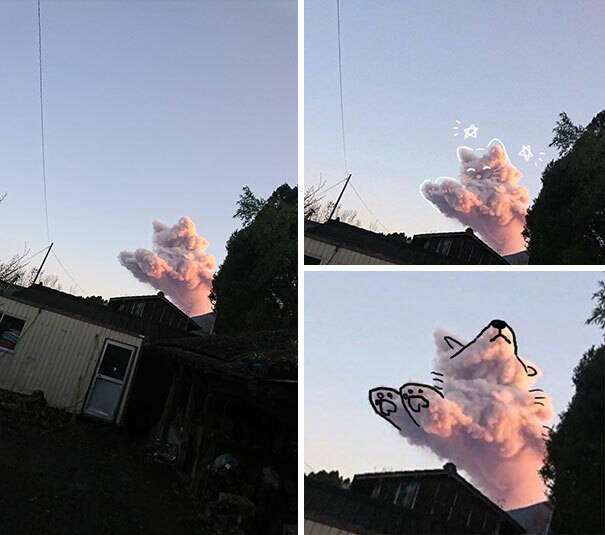 This cloud looks like a cat or dog jumping over a house. I definitely see a cat but that’s just because cats are better than dogs. 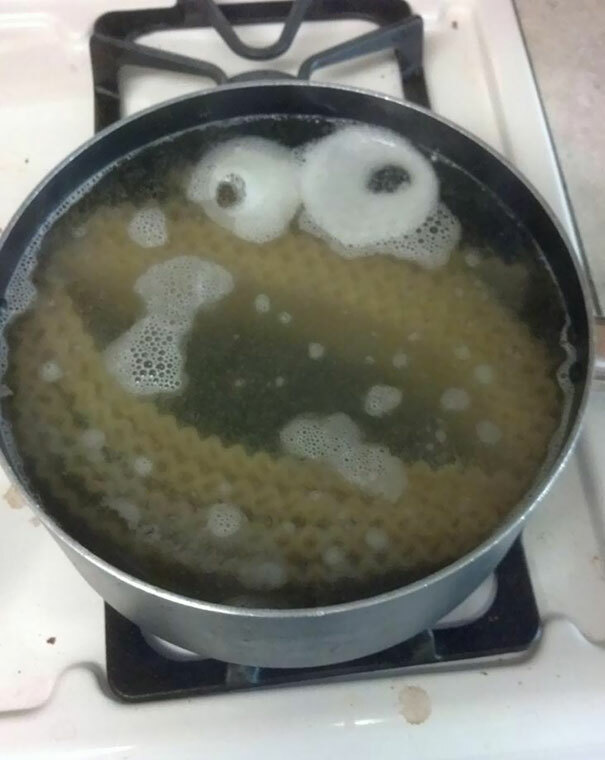 This person was casually cooking pasta until suddenly a wild cookie monster appeared. This is slightly scary but maybe he is trying to communicate something…ditch the pasta and eat a cookie instead. Go on, you know you want to. 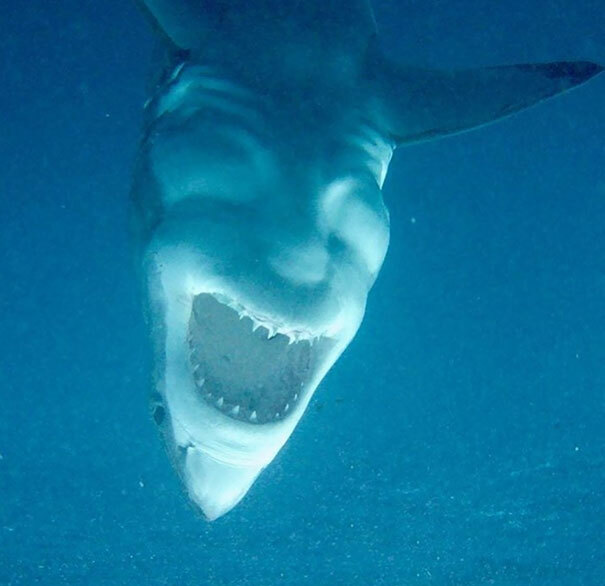 This shark hanging upside down literally looks like the devil laughing. The mouth is scary enough and the fins look like horns. This is the scariest thing I’ve EVER seen. 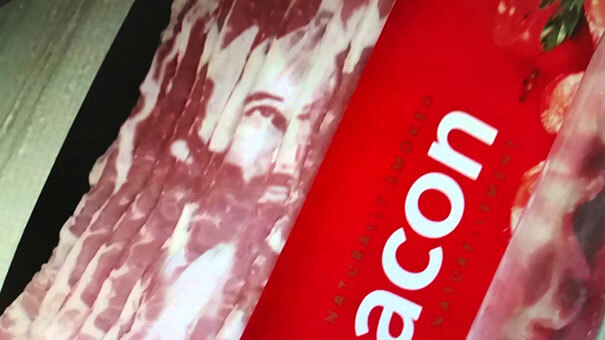 Looks like Jesus is now frying for our sins too. Will this guy ever stop giving? What a legend, providing tasty bacon too! 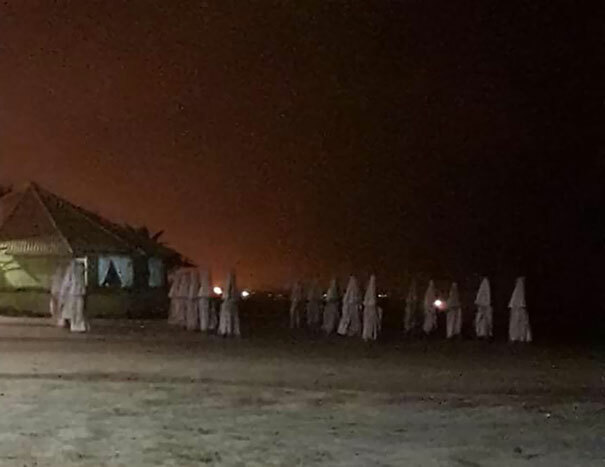 Imagine stumbling across this on the beach at night and preparing to run for your life…before discovering these are actually just closed parasols. This is so freaky!